October 10 & 11, 2014 Cocoa Beach & Delray Beach FL! The Diane Marino Quartet will return to Florida -the weekend of October 10 & 11! 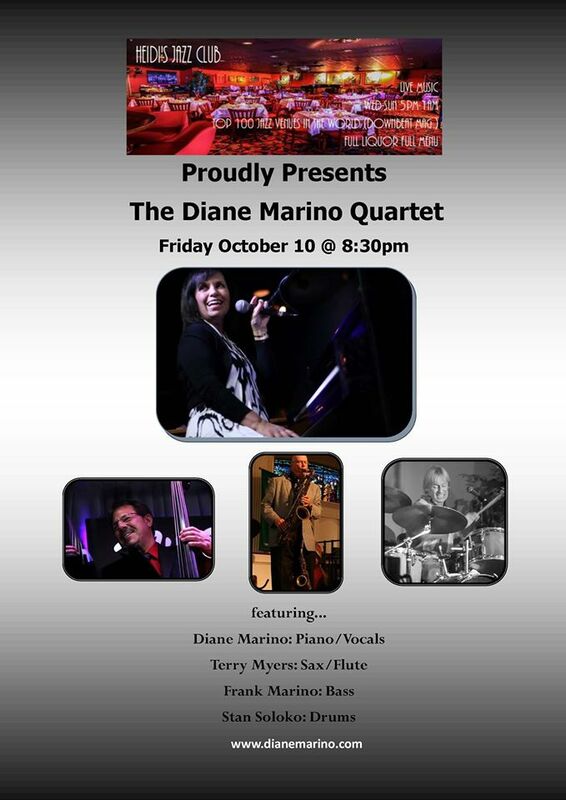 Friday, Oct 10th @8:30 PM we return to Heidi’s Jazz Club in downtown Cocoa Beach! A wonderful venue! With me will be: Terry Meyers: Sax/Flute, Frank Marino: Bass & Stan Soloko on drums. The next evening -October 11, 8:00PM we’ll be at Arts Garage in Delray Beach…..a most prestigious music venue in South Florida! Joining myself & Frank Marino (bass) will be: Tom McCormick (Sax/Flute) and Carlomagno Araya (drums). 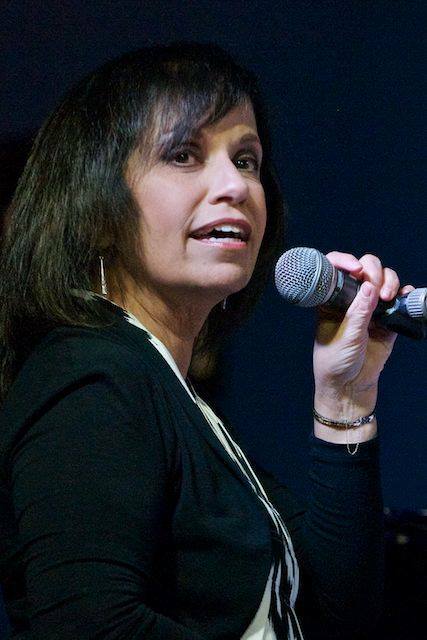 This will be a great evening of Jazz standards, Brazilian and Latin Jazz!